Description: The Wild Rose is a deciduous hardy thorny shrub ranging in height from 4-12 feet. It prefers sunny hedges, stony slopes or the edge of the woods. 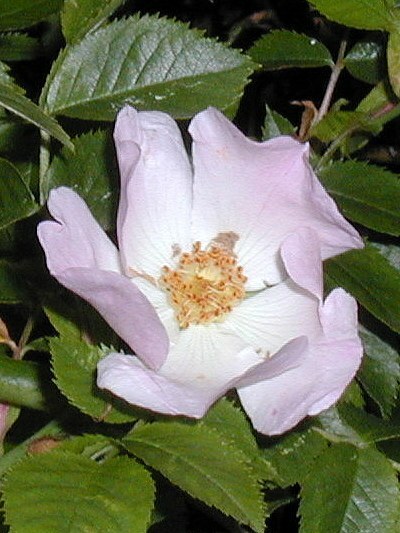 The sweet-smelling blossoms are white to light or dark pink and have five heart-shaped petals. It blooms from June to August. One has given up, has no hopes and becomes indifferent.